Faraday: Hey Maxie, that's Waffles! 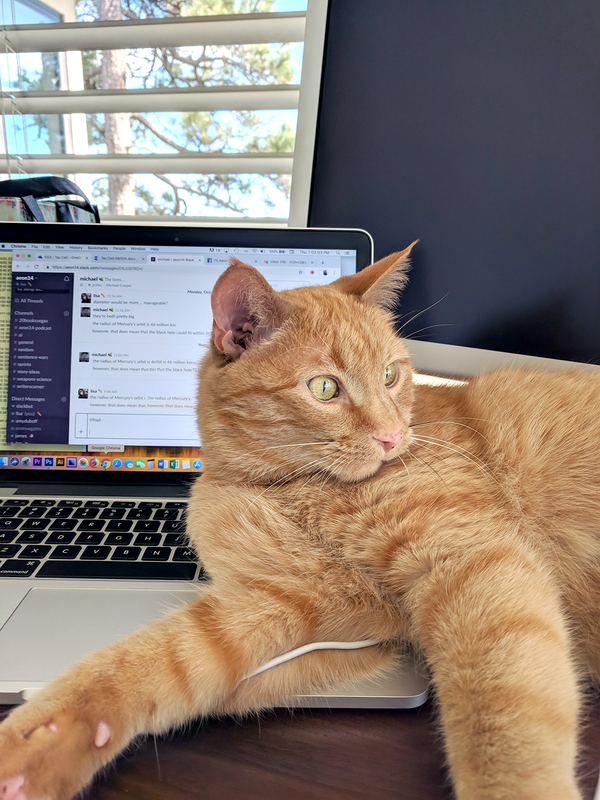 What's he doing on Mommy's computer??!?!? Maxwell: Don't look now, dood, but things are about to get worse. Hey, wait. You mean I could sit on Mommy's shoulder like that while she writes? Wow - Waffles is even more of a tart than we ever expected!!! Looks like Waffles is actually a lovebug! I climb all over mum sometimes too. Did your mum go off visiting Waffles? Waffles IS the world's biggest flirt. You don't know what you justed started Waffles. 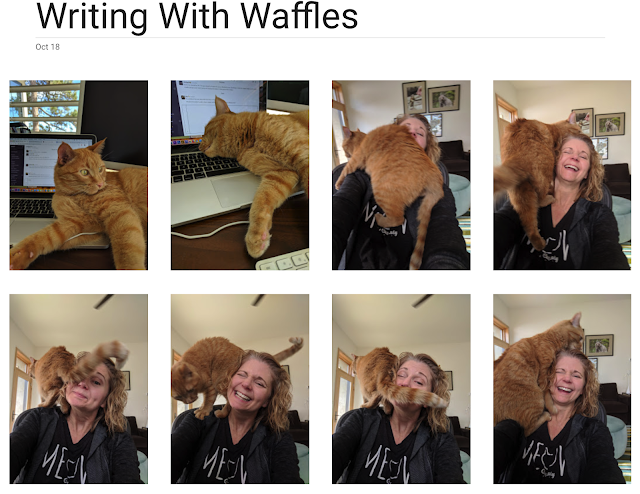 We love Waffles in those photos with your mom and now you can do that when she is writing. Thanks for sharing the wonderful photos. Have a great day. Rags climbs all over me the same way. Must be an orinch thing! I thought I was on the wrong blog for a moment there with Waffles being shown! Silly kitty. My kitties are all over Mom and her desk too. MOL! Surprisingly enough, we don't help anywhere near as much with my human's writing here! Maybe Waffles could teach us a few lessons. Waffles? There's no onec alled Waffles at your house! Or is there???? Waffles is a real love bug! My goodness, what a flirt! Your mommy cheated on you big time! Waff, you are quite the writing assistant. That must have helped a lot more important work done! Oh great, now you're all making my Mom want Waffles.